Younique Moodstruck Mineral Pigments are mineral-based pigment powders consisting of finely crushed minerals that bond to the skin offering long-lasting, sweat-proof coverage. 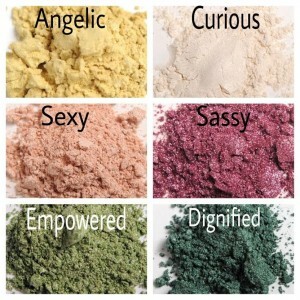 High-quality pigments that do not contain talc or other unnecessary filler ingredients. Apply wet for a more dramatic impact of color, or apply dry for a blending of colors or for a softer look. 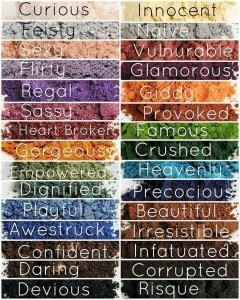 The possibilities are endless as you tap into your “inner mood” for the day. 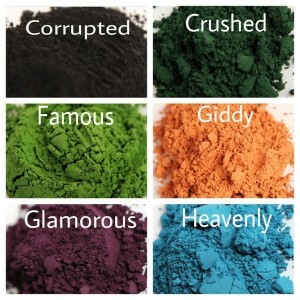 To experience optimal results first apply Younique’s Glorious Face & Eye Primer all over your face and eyelids prior to using mineral pigment eyeshadows. 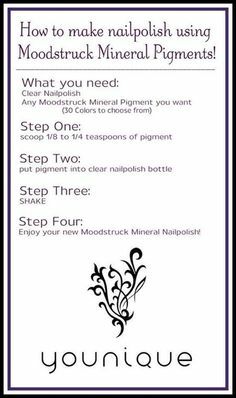 Moodstruck Mineral Pigment Directions: Tap a small amount of mineral pigment into the lid, using your Moodstruck brush eyebrush swirl a little pigment onto the brush and tap the excess back into the lid. 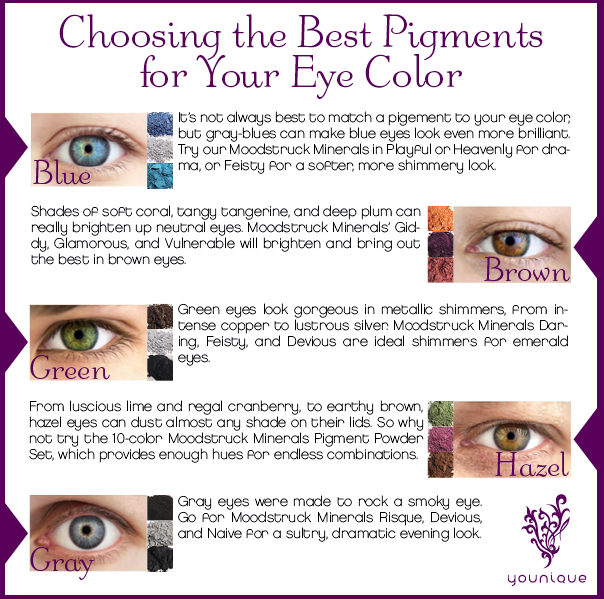 Brush the pigment directly onto your eyelid. 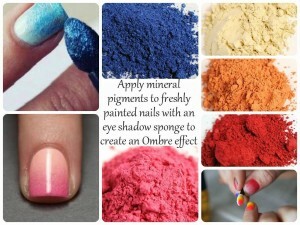 To use the pigments wet, simply get the brush wet (damp) prior to putting pigment on the brush. Experiment and play with different looks. 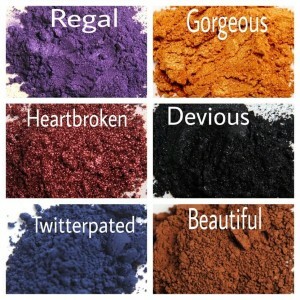 Using the pigments wet as an eyeliner works incredibly well with the use of the Moodstruck Liner Brush. 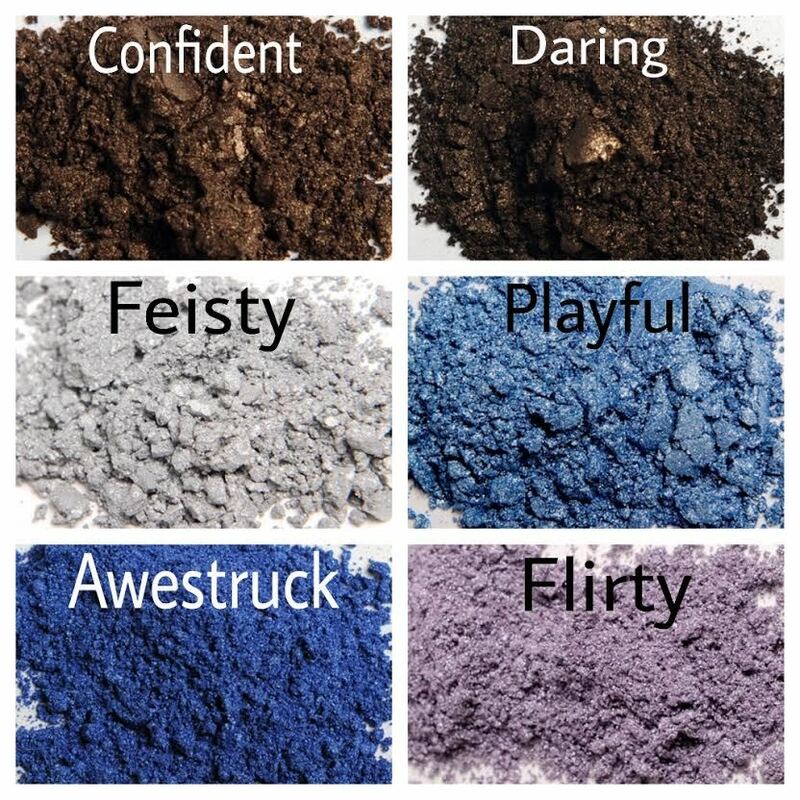 Mica is a natural and plentiful mineral that has a reflective, glittery appearance and brings a sleek shimmer to any pigment. Mica glides easily onto your skin, is easy to wear, and is a natural and beautiful way to enhance the appearance of your skin. 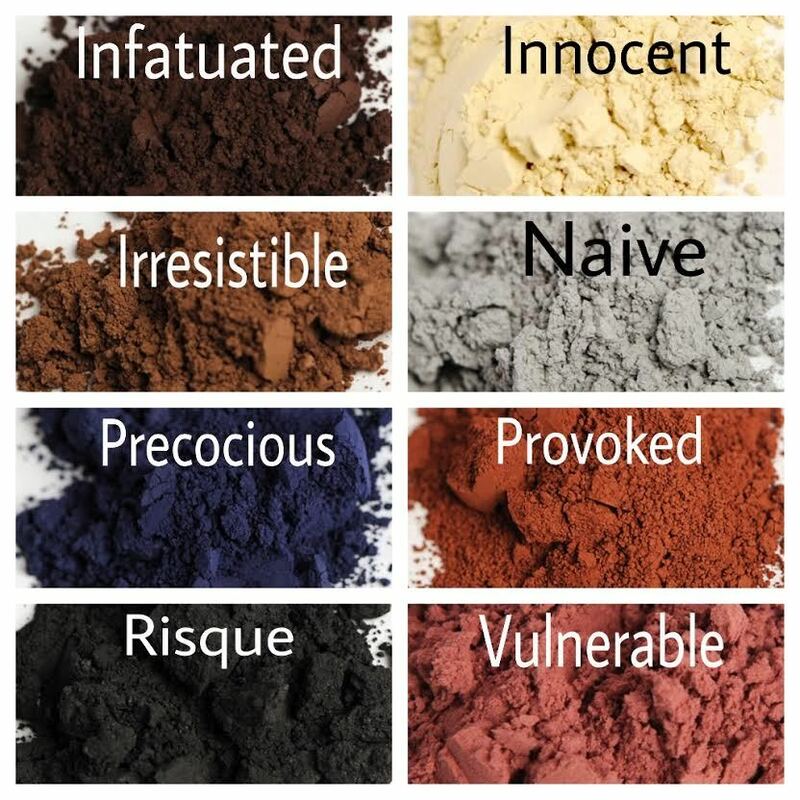 Iron Oxide is a naturally-occurring mineral that acts as a colorant, giving pigment powder its vibrant hue. Tin Oxide functions as an expanding and opacifying agent. 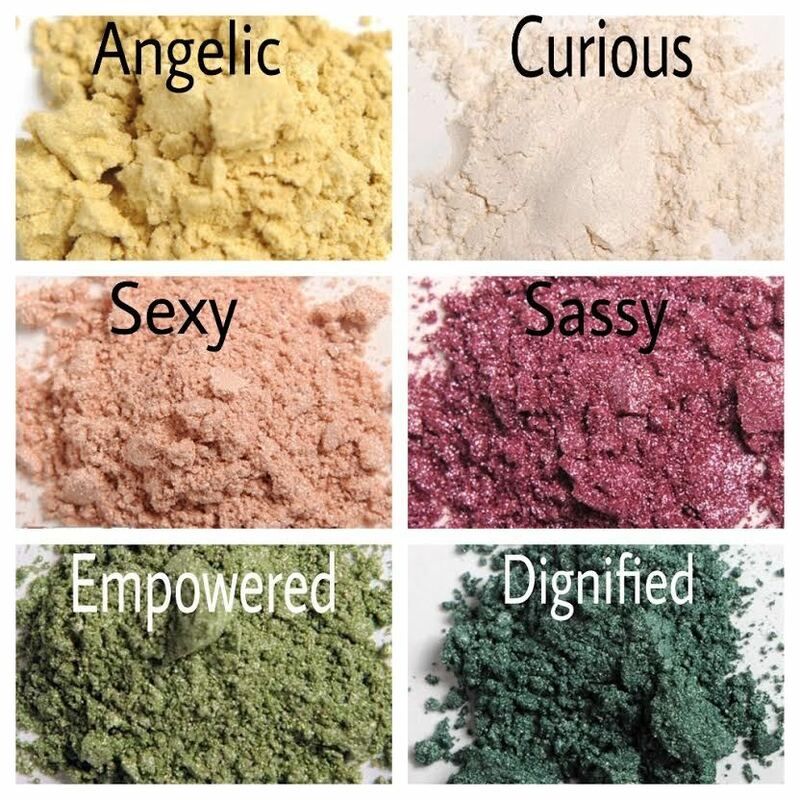 Bismuth Oxychloride is an inorganic refined mineral used for its distinct shimmery, pearlescent appearance, and its fine, white powder texture adheres well to skin. 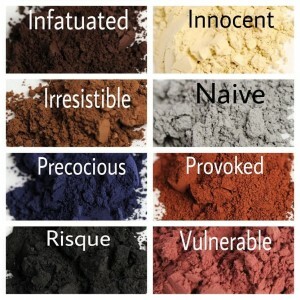 Carmine is a red pigment used as a colorant. Apply Younique Moodstruck Mineral Pigments on your lips for amazing lip color! The directions are simple. Apply a coat of lip balm, chapstick or vaseline to your lips. 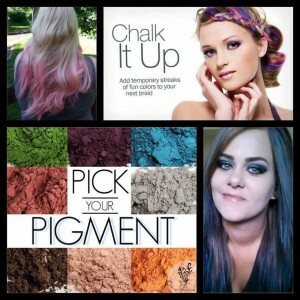 Choose the pigment color you want to use and place a tiny bit on a surface that you can dip your finger in to. 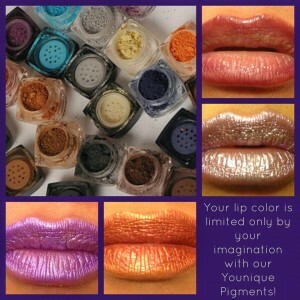 Dab the color on your lips first and then smear it on. You can apply a clear lip gloss over it for more shine. 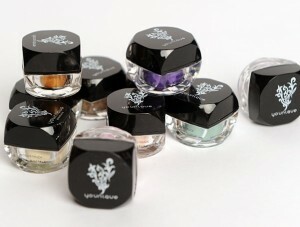 Shimmer pigments work especially well for their already bright and shiny look. 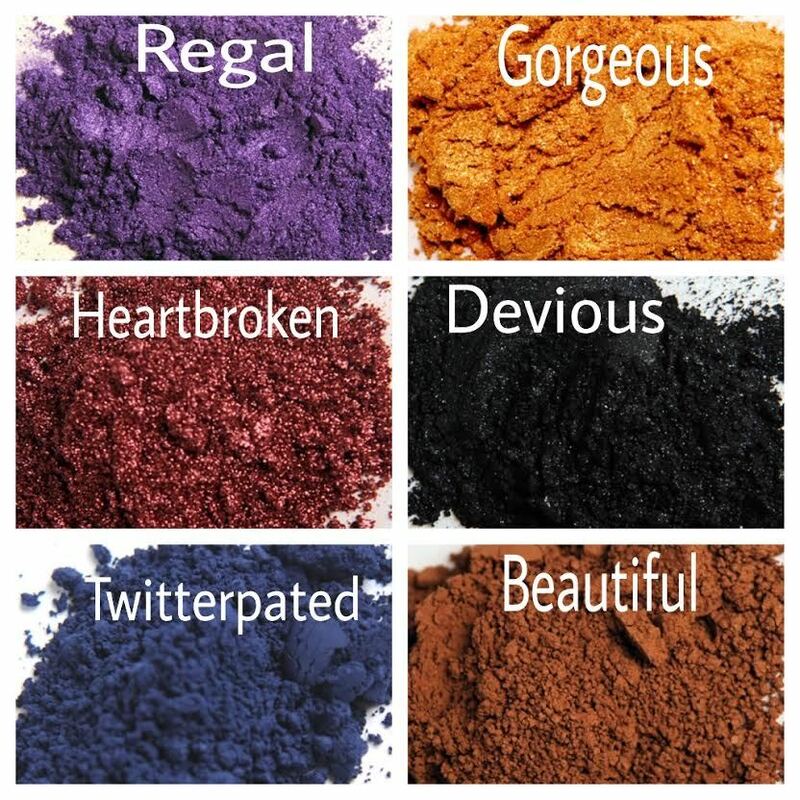 Younique Moodstruck Mineral Pigments on Nails! Now you can get your own custom nail colors by using Moodstruck Mineral Pigments to make your own nail polish, or by applying pigments to freshly painted wet nails for an ombre effect. 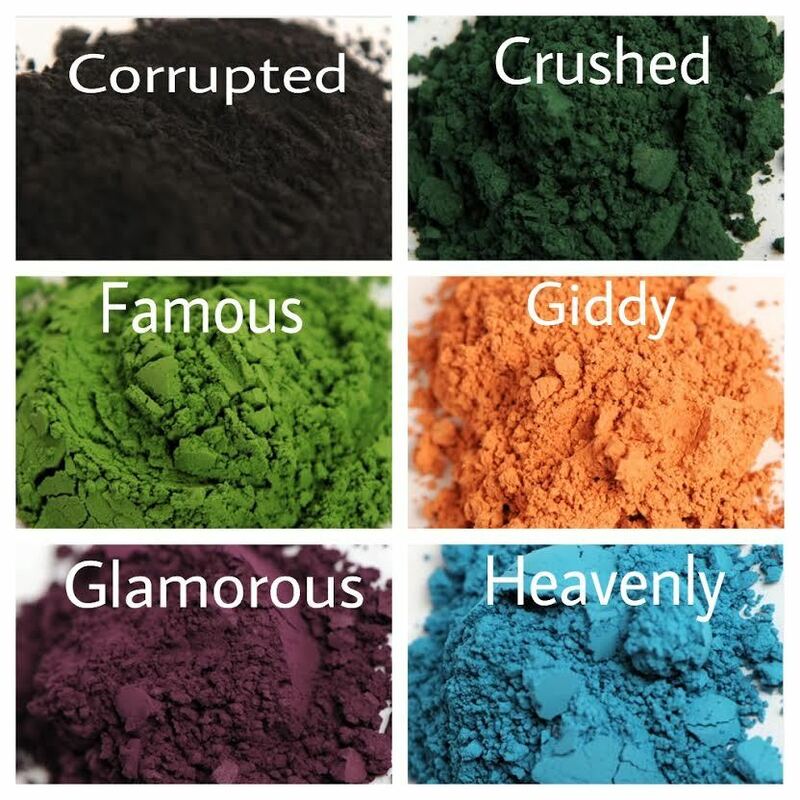 Younique Moodstruck Mineral Pigments are a great way to apply beautiful, vibrant temporary hair color. 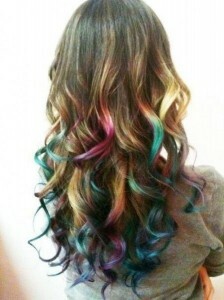 You can chalk your hair with a rainbow of colors, add subtle accents or create and gorgeous ombre effect.